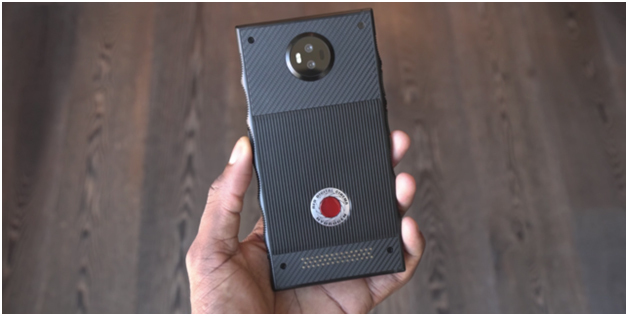 There was a beeline for the Hydrogen One phone from the professional camera company Red when it was announced last year. The RED Hydrogen One phone was immediately allowed for a pre-order at a price of $1,195. This smartphone is unlike any other with its promise of a holographic display which can be viewed without any special glasses. Red Hydrogen One is rumored to be launched around August 2018 and will be ready for shipping throughout the world. The phone will run on Android and would have a 5.7-inch screen with a holographic display. RED Founder Jim Jannard gives us a sneak peak on how awesome the phone would be when he says “This is the phone I wanted. 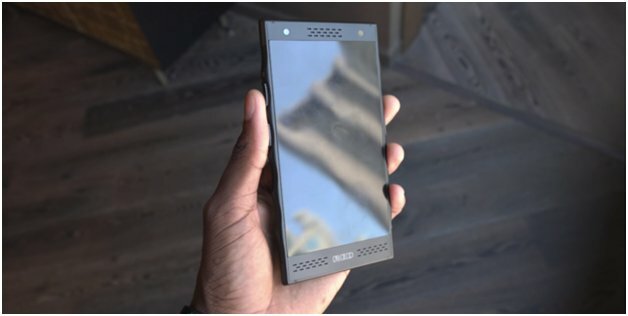 If we don’t sell one, I have the world’s most expensive phone but I’m completely happy and satisfied with that.” The cool phone will be launching on Verizon and AT&T this August. The first look shows that the back is a heady mix of metal and Kelvar. There are a dual lens camera and accessory pins at the bottom. RED says the base version will be aluminum ($1,195) and there’s a titanium ($1,595) model as well which will be pricier. The frame contains gritty edges with grooves to fit your fingers. One side contains a power button which can also be used as a fingerprint scanner and the other side contains a button for video recording. When you look at the prototype on how the front and back look, you get to understand this is one ‘special phone’.The holographic display makes you feel like the images are popping out right at you and the depth gives you a feeling which you have never experienced in a smartphone before. It’s fine in the case of images and videos, but questionable if games would be designed in 4V just for this one phone. The screen is one-of-a-kind – the likes of which you have never seen before. Red hasn’t allowed any pictures or videos of the phone to be taken and only selected people have had a demo on how good the phone really is. The full list of specifications hasn’t been given out by the company. So this summer, brace yourself for the best mobile phone in town. RED Hydrogen One is expected to be a game changer and will change the way mobiles have been monopolized currently in the industry. Let’s hope the rest of the industry takes a leaf out of RED’s book on how a smartphone can be innovatively upgraded.